This is a list of artists brought together by Techno&Philosophy. The list features established and emerging artists who are engaged one way or another with electronic and dance music scene. Some of the artwork included original material for labels such as Axis, Tresor and Dystopian, as well as clubs such as Kit Kat, Berghain and ://about blank. Support the artists here. Abdul Qadim Haqq is the pioneer of Techno Art. Founder of Third Earth Visuals, Haqq has provided the electronic music community with visual conceptual imagery since 1989. Haqq produced artwork for classic Detroit Techno records by Juan Atkins, Derrick May, Underground Resistance, Kevin Saunderson, Carl Craig, Eddie Fowlkes, Rick Wade and many more. Stefan Fähler is a freelance art director and illustrator working primarily in the music and film industries. He designs the ongoing flyer series for Gegen Berlin at Kit Kat Club. Born in Ann Arbor, Michigan, Mark Dancey was one of the conspirators behind Motorbooty Magazine. In 1999 Dancey turned his hand to painting and has been producing works in oil ever since. 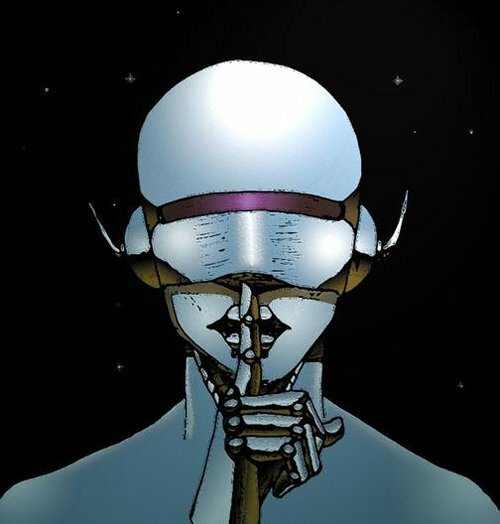 Mark has produced paintings on the legacy of Drexciya. Michael Lange is a German photographer known for his atmospheric compositions. 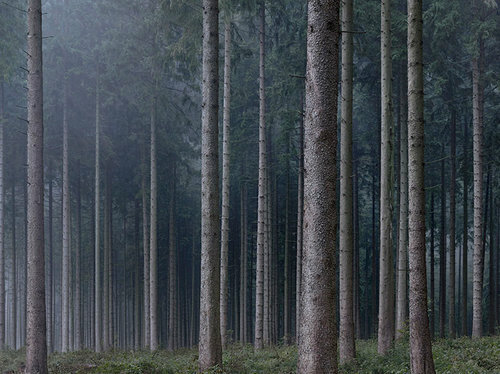 His work “WALD | Landscapes of Memory” appeared on Juan Atkins and Moritz von Oswald’s collaborative project Borderlands. Nicola Napoli is a graphic artist with a background in architecture. Nicola started his activity of freelance designer in Germany, where he started collaborations in the field of music industry, including the nightclub Berghain. Rudy is a radical visual artist who concentrates on practices of inclusion, community building and emancipatory pedagogies. Rudy collaborates with Room4Resistance and the Berlin club ://about blank. Daniel Kalinski aka CHAZME is a painter, illustrator and street artist. His dystopian structures are a critique of contemporary urban planning. He is behind the covers of two gems published by Tresor: Riod and Transport of the Borderland series by Moritz von Oswald and Juan Atkins. Julien Pacaud is a French artist and illustrator, living and working in Paris. 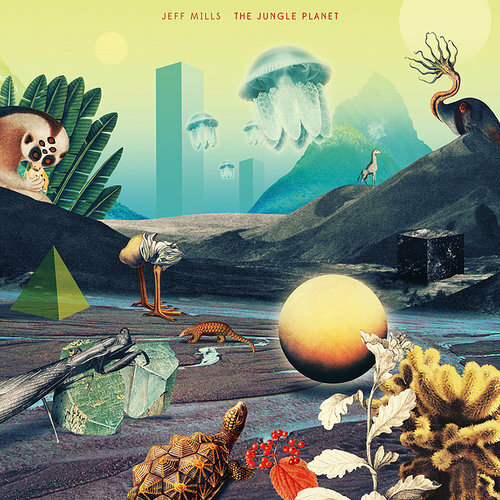 In 2013, Julien collaborated with Axis Records, the home of Jeff Mills and Yoko Uozumi, producing the cover of The Jungle Planet. Uros Djurovic uses many different media and combines different methods from woodcut to animation clips. He designed Distant Echoes' "Fury Road EP" cover, published by Dystopian records, the Berlin label famous for its melancholic and dark sounds. Anakhemia is the artist persona of Afra Khan (Saudi Arabia) who plays electronic mind-body music. Her vision is to inspire a dialogue in the human psyche through the method of sonic storytelling. Influenced by the concepts of renovation and decay, and linking illustration with textiles, German artist Heiner Radau opened his own design label in 2014. Jiyoung Yoo is a London-based artist from South Korea. Her work portrays today's visual landscape where images from the "real" and "digital" world merge. Born in Seoul (South Korea), Narin Kim is visual artist and digital artist. Her latest project, SecretTranslator 1.0, explores digital textuality, oral speech, and print media through digital coding.